In Charles Dickens's classic tale of the French Revolution, Lucie Manette and her family are living quietly in London when the revolution draws them into the center of the dangerous mob in Paris. The fight for her husband's freedom and the sacrifice of Sydney Carton has been adapted for young readers. 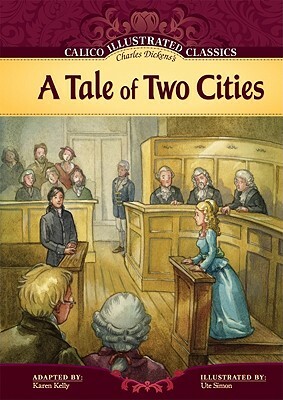 From the calm of London to the unrest in Paris, love, loyalty, and friendships are tested in the Calico Illustrated Classics adaptation of Dickens's A Tale of Two Cities. Calico Chapter Books is an imprint of Magic Wagon, a division of ABDO Group. Grades 3-8.